BAGHDAD (Reuters) – The United States has contacted members of a political bloc in Iraq led by a former foe, the Shi’ite cleric Moqtada al-Sadr, after his election win put him in a strong position to influence the formation of a new government, a top Sadr aide said. Alttahir is an Iraqi-born Middle-East expert based in London. She has worked on projects in Baghdad and Kabul. The election on May 12 was the first since the defeat of the Islamic State militant group and the failed Kurdish bid for independence from Iraq last year. These two successes for Baghdad raised expectations among the country’s political establishment of victory at the polls. The final results announced early Saturday gave Al-Sadr’s bloc 54 seats, more than any other group but still falling short of a majority in the 329-seat Parliament. (Now begins the complex process of building a coalition government.) The success of the militant-turned-populist preacher—who ran on an ‘Iraq First’ style campaign—represents a fundamental shift in Iraqi politics and is cause for grave concern among ordinary citizens who have suffered years of dictatorship, sanctions and consecutive wars. The average Iraqi living outside Baghdad still can’t reliably switch on a light or run a shower, let alone find a job with a living wage paid on time or attend a decent school. Al-Sadr’s electoral victory is indicative of the Iraqi people’s rejection of self-serving Western intervention in the country. While the West has been preoccupied with gaining political influence, a real opportunity has been squandered to foster a culture of democracy and respect for human rights. The Iraqi people are now fed up with a lack of progress on addressing poverty, corruption and the need for essential services. The parallels between Trump and Al-Sadr are uncanny. Take the circumstances of their election. Like the American president, Al-Sadr has been elected as a populist, nationalist candidate who ran as an anti-establishment champion of the common man. He framed his political opponents as out-of-touch, Western-influenced elites, removed from the everyday struggles of average Iraqis. However, in Iraq, the election had record-high abstentions and a voter turnout of just 44.52 percent, the lowest since the first multiparty elections of 2005. The lower than expected turnout is another sign of people’s frustrations with the government and the democratic process. Al-Sadr has benefited from this rising wave of discontent with Baghdad’s broken political system. Much like Trump’s promise to “drain the swamp,” Al-Sadr vowed to reduce corruption, fight foreign interference and deliver political and economic reforms for ordinary Iraqis. Ironically, both anti-establishment figures embody the characteristics of the “elite” they claim to oppose. Just as Trump is, in fact, a well-connected billionaire, Al-Sadr descends from one of the most influential political families in Iraq and has been a fixture of Iraqi politics for the past decade. Al-Sadr has also made questionable alliances, embracing the Iraqi Communist Party and Saudi Arabia’s Mohammed bin Salman, angering Iran and the U.S. This reveals an opportunistic mindset similar to that demonstrated by Trump in his foreign policy decisions. But unlike Trump, Al-Sadr is a confirmed warlord. His Mahdi Army, now revived as the Peace Companies, has been responsible for some of the worst atrocities in recent Iraqi history. Al-Sadr also exists in a far more fragile political system, more vulnerable to instability and collapse. His electoral victory represents a backward slide for democracy in Iraq and the stability of the Middle East. The past 10 years of Muqtada Al-Sadr’s influence over Sadr City, an administrative district in Baghdad, provide some indication of the possible future direction of Iraqi politics. Most troubling is his willingness to use violence to achieve his goals and his disregard for the democratic process. He opposed the U.S.-backed Interim Governing Council established after Saddam Hussein’s fall and attempted to establish a rival government. He has previously questioned the efficacy of peaceful protest and has urged his followers to terrorize his enemies. The sincerity of Al-Sadr’s attempt to rebrand himself as a nationalist unifier will only be visible with time. As a conservative religious cleric, he has been largely opposed to women’s participation in politics and his followers have been violently intolerant of the LGBT community. The protection of minorities would be in question, since his Mahdi Army has played a key role in fueling Iraq’s sectarian conflicts. His continued success may embolden Shiite factions to oppress Sunni and Christian minorities. On the international front, Al-Sadr’s victory mirrors the rise of populist and authoritarian leaders across the globe. His surprise win poses a grave danger to the respect for human rights and democratic culture. And it’s a worrying sign for moderates and progressives hoping for a more secular and pluralist Iraq. President Donald Trump’s recent decision to withdraw the United States from the Iran nuclear deal and his offer to help Saudi Arabia build nuclear reactors raise the question of just how wild a nuclearized Middle East might get. The dangers of a regional arms race are real. If Iran resumes its nuclear weapons program, the Saudis will certainly pursue their own — and Algeria, Egypt, and Turkey might well follow. Fortunately, the worst is hardly inevitable. But avoiding it will require deference to energy economics (which, in the Middle East, favor nonnuclear over nuclear forms of energy) and promoting rules against enriching uranium and reprocessing spent reactor fuel (the keys to nuclear weapons development). Iran could get a bomb within a year. We already know it worked on a 10-kiloton bomb design. As for enriching weapons-grade uranium, Tehran could likely revamp its existing fleet of centrifuges to produce enough for its first bomb in eight to 10 months. 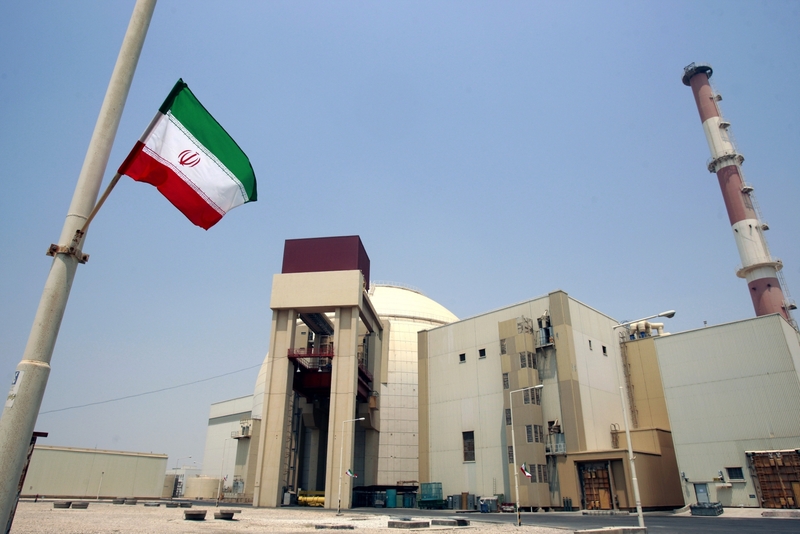 Then, there is the unspoken option of culling plutonium from spent fuel generated from its power reactor at Bushehr. Assuming Iran currently lacks a small, crude chemical separation plant (which could be hidden within a moderate sized warehouse), Tehran could build one from scratch in as little as six months. (The design for such a plant was made public 40 years ago.) Such a plant could process one bomb’s worth of plutonium in about a week and a bomb’s worth per day after that. Given Tehran’s past work on weapons design, it’s reasonable to assume that Iran would have a working implosion device on the ready and could prepare plutonium or highly enriched uranium to place into the device’s core relatively quickly. Recent analysis also shows that even if Iran used “reactor-grade plutonium” from its power reactor at Bushehr, it could produce a compact 9- to 12-kiloton weapon, (which would accord with Iran’s earlier effort to perfect a 10-kiloton missile warhead) ) using 1950s weapons technology. If Iran unloaded Bushehr’s fuel before it was fully burned, as it did in 2012, it could build even more powerful weapons still. Tehran, though, is unlikely to sprint toward such bomb options if for no other reason than that Trump has warned it against doing so; the mullahs know that a rush to build a bomb could lead to U.S. military strikes. Iran also would like to keep China, Russia, Britain, and the European Union on its good side. Getting a bomb or rushing to build one would risk all this. Iranian nuclear or military provocations could prompt Riyadh to develop a nuclear weapons capability as a hedge. Indeed, Saudi Crown Prince Mohammed bin Salman and Foreign Minister Adel al-Jubeir both are on record saying that if Iran acquires a nuclear weapons capability, Saudi Arabia will do whatever it takes to “do the same.” This could mean a number of things. Riyadh could call on China, which sold the Saudis nuclear-capable missiles, or Pakistan, whose bomb program the Saudis funded, to base their nuclear weapons on Saudi soil. China and Pakistan could do this legally under the Nuclear Nonproliferation Treaty so long as the nuclear weapons remained under Chinese or Pakistani control. The Saudis, however, would surely prefer to maintain control themselves, which gives rise to the possibility of China or Pakistan helping Riyadh acquire the means to enrich its own uranium. This could be done by sharing information that would allow the Saudis to get the parts and plans needed to complete a plant of their own. Based on an analysis of past centrifuge enrichment programs, the Saudis might perfect a plant in one to three years and produce their first bomb’s worth of uranium a year or so later at a cost of only tens of millions of dollars. As for perfecting a nuclear weapons design, this would likely be accomplished in parallel as has been done in nearly every other bomb program. Alternatively, Riyadh might buy a 1,000-megawatt reactor from one of the major nuclear suppliers — the Korea Electric Power Corporation, Westinghouse, EDF, Rosatom, or China — bring it online; build a crude, small reprocessing plant; and separate plutonium from the reactor’s spent fuel. Judging from the recent nuclear experience of the United Arab Emirates, completing a large power reactor might take roughly a decade. If the Saudis made good on their promise to build a smaller South Korean-designed 100-megawatt electrical power reactor and decided to construct a small reprocessing plant, Riyadh could conceivably have its first batch of plutonium for use in weapons in as little as five years. The worry, then, would be that others might follow. Egypt has long operated a large Argentine-designed research reactor capable of producing more than a bomb’s worth of plutonium each year and has tinkered with reprocessing. Both Turkey and Egypt have begun construction of several large, Russian-built VVER pressurized-water reactors. Turkey is also developing a series of indigenous nuclear-capable ballistic missiles. If Egypt develops a weapons option, some fear that its traditional rival, Algeria, would then play catch-up. For decades, Algiers has operated a large research reactor that has generated tons of spent reactor fuel containing what could potentially be many bombs’ worth of plutonium. It also has hot cells — small labs that allow the safe handling of radioactive materials, which can be used to separate plutonium from the other hot spent reactor fuel waste products. Finally, there’s Israel, which already has an estimated nuclear arsenal of 100 to more than 300 warheads. Its production reactor near Dimona has been operated to produce tritium to keep the yield of Israel’s weapons boosted (tritium has a half-life of 12.3 years, so the weapons periodically must be “topped off”) and plutonium to fuel its nuclear weapons. It also operates centrifuges to enrich uranium for its nuclear weapons program. The Dimona reactor is more than a half-century old, but Israel hopes to operate it for another two decades. The Middle East is a darkening nuclear neighborhood. Nonetheless, any pitched regional nuclear rivalry is several years away and can be avoided. First, apart from Iran’s Bushehr plant, there are no power reactors yet operating in the Middle East, and without them, it’s difficult to justify enriching or reprocessing. Turkey’s massive Russian project is slouching ahead but just lost 49 percent of its financing. Japan financially pulled out of Turkey’s other planned nuclear project. Meanwhile, Egypt’s planned Russian plant near Dabaa won’t be cheap: Cairo will have to shell out many billions of dollars to repay the Russians. Given Egypt’s economic woes, the plant may never be built. Finally, there’s Saudi Arabia, which optimistically announced it might spend more than $80 billion building reactors by 2040. Riyadh, however, will have difficulty balancing its current budget unless the price of oil reaches and stays at or above $85 to $87 a barrel. It has already drawn heavily from its financial reserves and is having difficulty selling shares of its key asset, the state-owned oil giant Saudi Aramco. The pace of Saudi nuclearization may be slow. Second, nuclear power in the region is increasingly uneconomic. All of these countries have access to growing reserves of cheap natural gas and renewable energy sources, the costs of which are declining dramatically in the region. All of these countries have access to growing reserves of cheap natural gas and renewable energy sources, the costs of which are declining dramatically in the region. These include wind and solar power, which, along with other renewables, provide power 24/7 at rates lower than nuclear. Meanwhile, as poor as the economic case for nuclear power may be in the Middle East, the financial case for enriching uranium or reprocessing spent fuel is weaker still. Fears that these dangerous nuclear activities could be used to make nuclear weapons is why Washington initially refused the UAE civilian nuclear assistance in 2009 until it abandoned enriching and reprocessing. Trump officials have wisely intimated that similar demands may be holding up Riyadh’s signature on a U.S.-Saudi nuclear cooperation deal. The White House and Congress should hold firm on these demands, as well as the renewal of U.S. civilian nuclear cooperation with Egypt (up for renewal in 2021) and Turkey (up for renewal in 2023). These demands also should feature, as Secretary Pompeo has made clear, in any future deal with Iran — getting Tehran to forswear enriching and reprocessing as the UAE did. Israel ought to be encouraged to adopt them as well. Finally, Washington needs to work with others to promote nonnuclear energy cooperation wherever it makes economic sense rather than continue to push nuclear energy in countries where it doesn’t. This may seem ambitious — but the stark alternative in the Middle East is chaos. “We have to preserve this agreement so we don’t have to negotiate a new agreement,” the EU’s energy chief said. 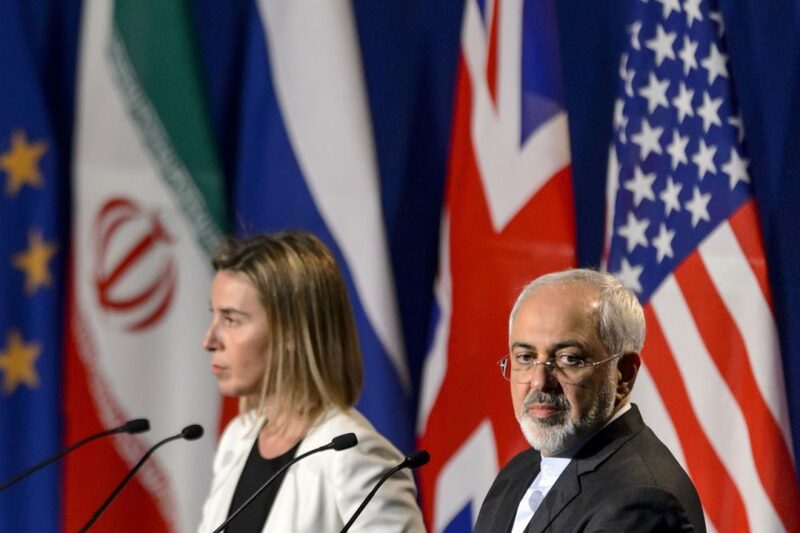 TEHRAN (Reuters) – The European Union is not doing enough to preserve the benefits for Iran from the 2015 international nuclear pact following the withdrawal of the United States, Iran’s foreign minister told the EU’s energy chief on Sunday. Miguel Arias Canete, European Commissioner for energy and climate, said Tehran wanted the 28-nation bloc to act fast to preserve its oil trade with Iran, and to consider making direct euro-denominated payments for Iranian oil to Iran’s central bank, bypassing the U.S. financial system. “With the withdrawal of America …. the European political support for the accord is not sufficient,” Mohammad Javad Zarif told Arias Canete in Tehran, Iran’s state news agency IRNA reported. Since President Donald Trump announced on May 8 that he would pull the United States out of the deal, the U.S. Treasury said Washington would reimpose a wide array of Iran-related sanctions after the expiry of 90- and 180-day wind-down periods, including sanctions aimed at Iran’s oil sector and transactions with its central bank. The EU leaders have pledged to try to keep Iran’s oil trade and investment flowing, but conceded that would not be easy. “We have to preserve this agreement so we don’t have to negotiate a new agreement,” Arias Canete told Western journalists after two days of meetings with Iranian officials in Tehran. Under the deal, Tehran agreed to curb its nuclear work in return for the lifting of most Western sanctions. With the threat of new U.S. sanctions looming over them, some foreign firms have already started signaling their intention to pull back from Iran. “The announcement of the possible withdrawal by major European companies from their cooperation with Iran is not consistent with the European Union’s commitment to implementing (the nuclear deal),” Zarif was quoted as saying. He appeared to be referring to announcements by several large European companies last week suggesting their activities in Iran would end or be curtailed because of the reimposition of U.S. sanctions. A top adviser to Supreme Leader Ayatollah Ali Khamenei on Sunday cast doubt on whether European nations could be trusted to save the agreement. “The contradictions in the words of European authorities are suspicious. We hope that our government officials will be able to secure the necessary guarantees in their negotiations, as one cannot rely on those who vacillate and speak contradictory words,” IRNA quoted Ali Akbar Velayati as saying. Following the withdrawal of Washington, Iran said it would remain in the deal only if Tehran achieved its goals – namely being protected from sanctions on key sectors of its economy such as oil – in cooperation with other signatories of the pact. EU investment in Iran, mainly from Germany, France and Italy, has jumped to more than 20 billion euros since the lifting of sanctions in 2016, in projects ranging from aerospace to energy. But to improve its oil-reliant economy, Tehran needs to attract $100 billion in foreign investment to boost its oil industry and major western investors have stayed away from Iran, partly because of the remaining U.S. sanctions on Iran. “The announcement, in cascade, of European companies that will not keep investing in Iran are making the things much more complicated at the moment,” Arias Canete said. The options being considered by the EU to keep Tehran in the nuclear deal include new credit lines for Tehran, increased energy cooperation and implementing EU laws to block European companies from caving in to U.S. sanctions. Arias Canete said Iranian officials were keen to mitigate the impact of U.S. sanctions under a proposal for EU governments to make direct euro-denominated payments for Iranian oil to Iran’s central bank, bypassing the U.S. financial system. “The EU will consider it,” he said, adding that the EU needed to deliver fast on preserving oil trade with Iran.